I love it when people who have a history of conflict, come together and agree on things. And that’s what’s happening along the Blackfoot River in western Montana. Ranchers like Jim Stone have a lot to worry about. 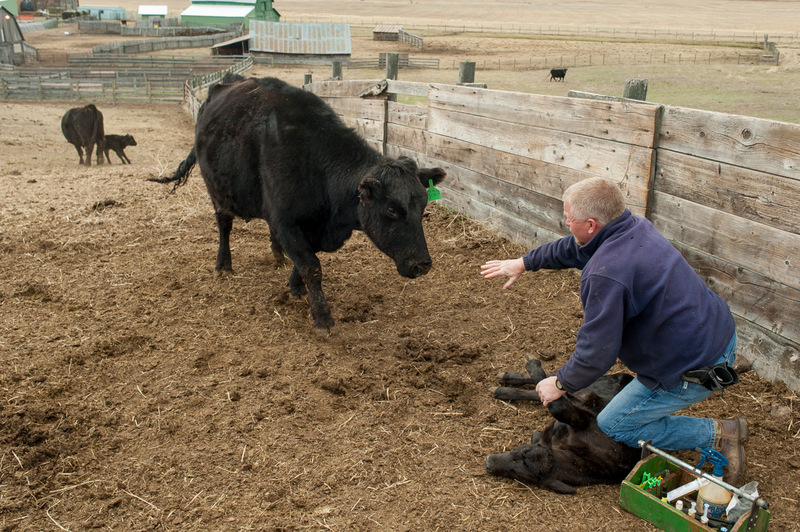 There’s the weather, expenses like fuel and feed, and there’s medical problems too, not to mention the danger of vaccinating a new calf while its 1,500-pound mother might be getting over protective. Understandably they don’t like it when a bunch of environmentalists and government agents come poking their noses in to tell the ranchers how to run things better. And government people like Greg Neudecker of the U.S. Fish & Wildlife Service are charged with the duty of making sure those using the land to make money aren’t ruining it for the flora and fauna. So you can see the potential for conflict. 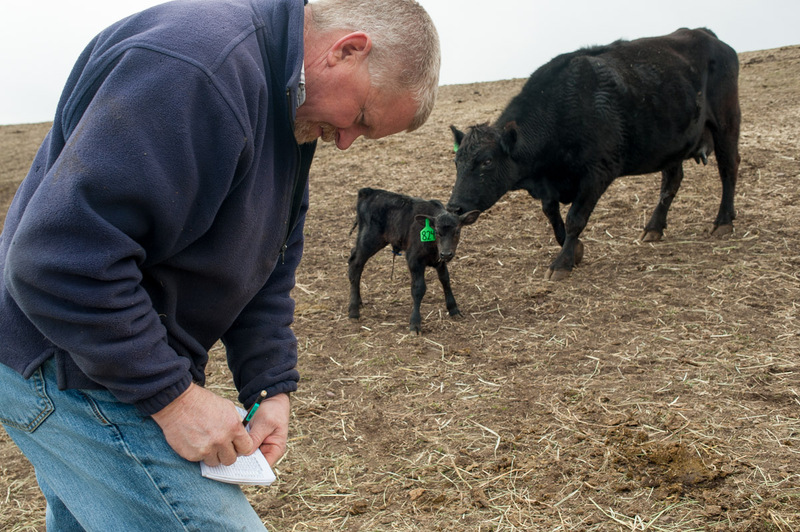 But some years ago, folks like Stone and Neudecker got together with other ranchers, government agencies and environmental organizations and started following the 80-20 rule. 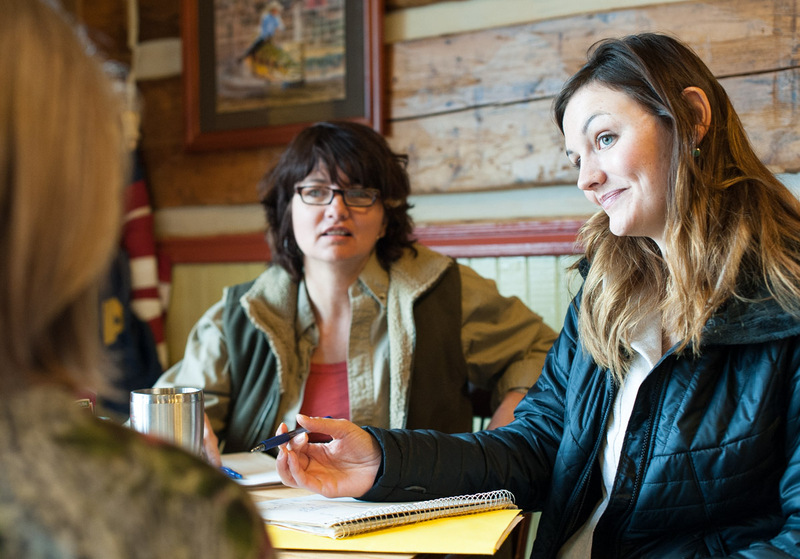 They figured they agreed on 80 percent of the issues involved in caring for the land. They all wanted a healthy ecosystem. So they resolved to work together on those 80 percent issues and leave the 20 percent for later. Sure enough, trust was built, common ground, common interest was found and now the Blackfoot Challenge is making waves across the world. 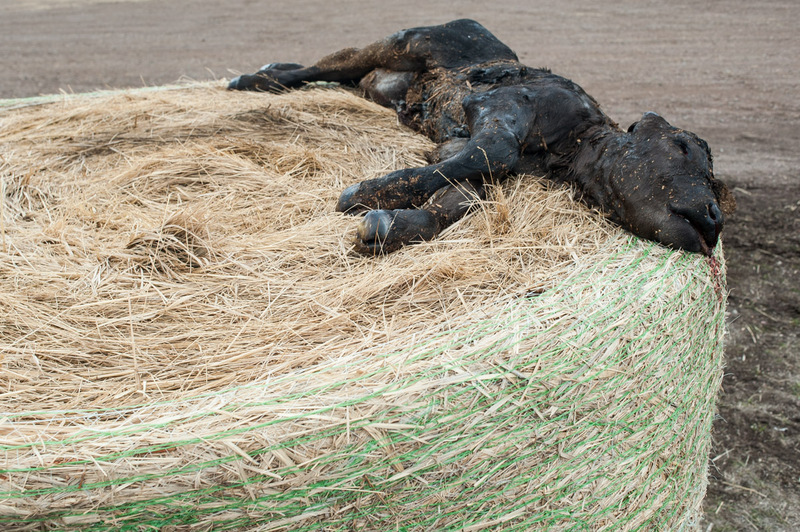 This is a dead calf. It’s a fact of ranching. And Stone says ranchers used to bury their dead calves in the fields or just leave them for scavengers. They didn’t want their neighbors knowing they had lost livestock, even though the neighbors were probably losing some too. But Stone and his neighbors got together, realized that they were creating kind of a dangerous situation leaving meat out when grizzly bears were around. Some of them were nervous sending their teen-aged sons and daughters out to check on the calves in the middle of the night. Fish & Wildlife didn’t like bears and coyotes getting the idea that hanging around people and livestock was a great way to get an easy meal, and it turns out that the highway department was composting road kill to keep roadside vegetation green. So now the ranchers put their dead where a hired man can come get it in a pickup. The pickup is paid for by Fish & Wildlife and the highway department gets some extra compost material. 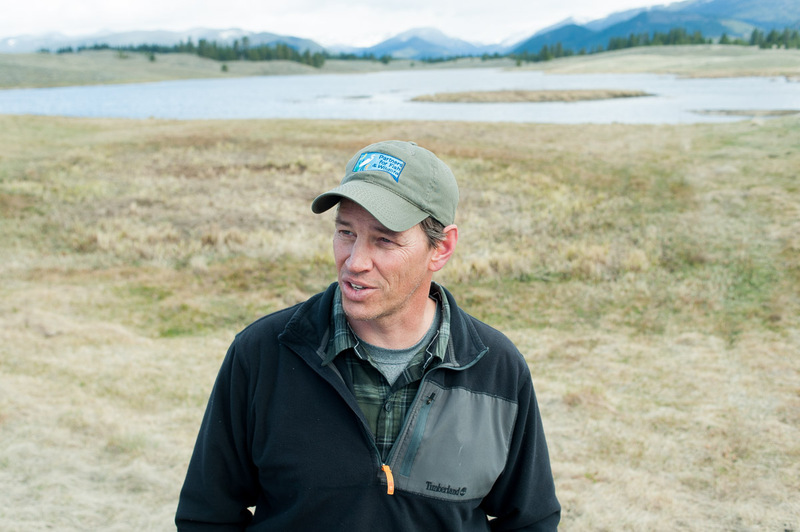 Trout Unlimited is an environmental group with an interest in the Blackfoot Valley watershed. Scott Gordon, left, and Juanita Vero are part of it. They’re looking over Hoyt Creek on Stone’s Rolling Stone Ranch near Ovando. Stone says the creek had been lowered up to 12 feet in the past, probably to dry out the fields on either side so that they could support the tractors necessary to grow hay. Stone says he worked with the U.S. Fish & Wildlife Service to install eight adjustable dams and a new channel for the creek. This work raised the water level so that the fields were now sub-irrigated, which means that he no longer had to drain the creek to grow hay. And the adjustable dams allow Stone to dry out the fields just enough to run equipment on them as needed. The result is improved bird habitat, a restored fishery (making TU happy), and a quadrupling of Stone’s hay yields. “It’s a win-win for everybody,” says Stone. 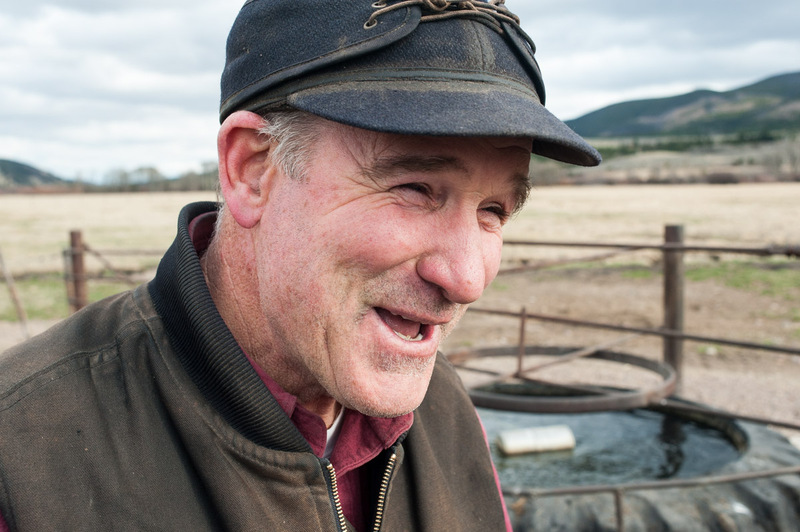 David Mannix runs a ranch near Helmville with his brothers. He says the Blackfoot Challenge helped him buy tire tanks that allow him to water his cattle away from Nevada Creek. 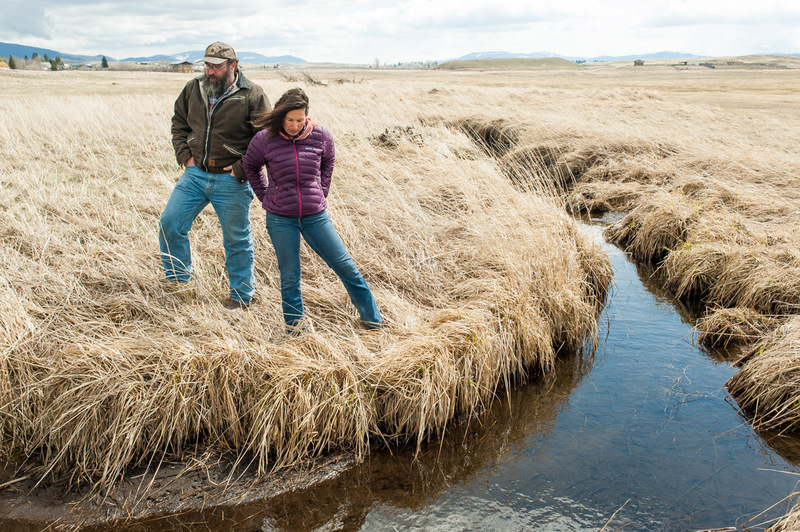 Now Nevada Creek isn’t stressed by cattle on its banks for extended periods, and he gets to move his cattle more often to fresher, better grass, increasing his yield. Love people working together to find great solutions! Thanks for telling the story of the great people in the Blackfoot Challenge. Best folks on earth.